Deeply anchored in history, terrestrial stars shine, lighting the Earth with cultural beauty. Each one of them wears a cape imprinted with stories, caressing both the eye and the soul of the passenger. On Romanian ground lie countless treasures, forming a magical web that unites the country’s territory under the mark of cultural richness. Touched by a legendary destiny, somewhere in the north-east “lives” a pillar of architectural beauty, which was born to die and rise again from its ashes like a Phoenix, returning stronger and everlasting. The “father” of Romanian Theatre has its home in Moldavia’s cultural capital, the city of Iași. 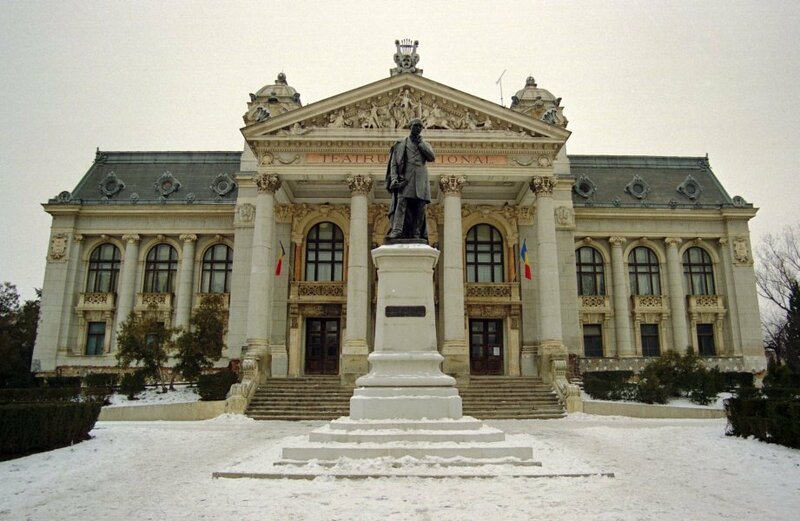 “Vasile Alecsandri” National Theatre of Iasi is the first national theatre that has ever emerged on Romanian ground, remaining one of the most prestigious institutions in the country. Ever since 1956 its value has been emphasised by being named after an important Romanian figure – the renowned playwright and poet, Vasile Alecsandri. Although Iasi was first touched by this kind of art in 1816, when one of the first theatrical performances in Romanian language was held with the help of Gheorghe Asachi, it is only in 1832 when an actual building was constructed, and the stage was now sheltered by the Théâtre de varieté, especially created for the French Fouraux troupe. This became a national asset 8 years later, when on the 15th of May 1840 the French troupe merged with the Romanian language troupe, being united under the direction of Vasile Alecsandri, Costache Negruzzi and Mihail Kogălniceanu, and managed by Costache Caragiali. On the 22nd of December 1846 the whole activity was moved into a pretentious setting, when a new audience hall was inaugurated in the former mansion of Prince Mihail Sturdza, on the Hill of Copou. A dark event in history is marked by a devastating fire which destroyed the Theatre from Copou on the night of 17/18 February 1888. What apparently seemed to be a disaster led the way to a fundamental act of culture. The identity of the Romanians was consolidated by an everlasting work of art, which wears the fingerprints of the Viennese architects Ferdinand Fellner and Hermann Helmer, who left their signature on important European constructions in Vienne, Prague, Odessa, Zürich, and on other Romanian constructions in Cluj-Napoca,Oradea, Timișoara and Chernivtsi. 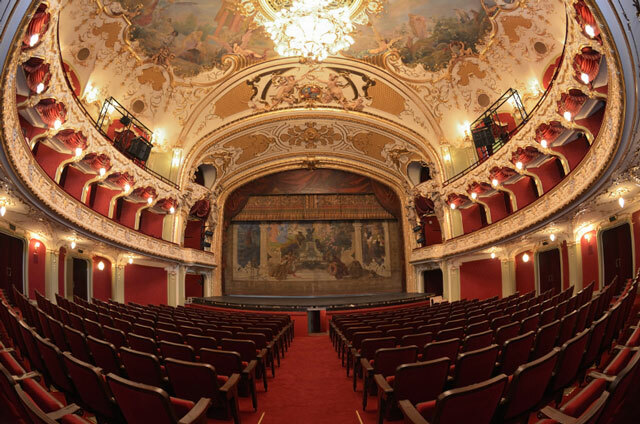 In 1984 they signed a contract and committed to help build what is nowadays known as the edifice of “Vasile Alecsandri” National Theatre of Iasi, which also hosts the Romanian National Opera. This brought along with it the beginning of electrification in the city of Iasi, for a whole power station was built back then by a company from Berlin to supply with electricity the 12 electric-arc lamps lighting the Theatre Square. The work process lasted 2 years, and ever since the 1st of December 1896 everyone can admire one of the most elegant buildings in Romania, which displays a Neoclassic exterior and a richly decorated interior in Rococo and Baroque styles, including precious elements created by praised artists: the curtain painted by the Viennese M. Lenz, presenting allegory of life with its three stages and the allegory of Romanian Unification, the iron curtain were painted by Alexander Goltz, and the ceiling which has as a narrative basis the Archetypal Story shown in paradisiacal allegories, or the 1418 electric lights and the chandelier with 109 Venetian crystal lamps. All these render a unique architectural personality, crowning the work of the Romanian troupe performing nowadays, which is formed of 36 actors, 2 directors, 2 script writer and various collaborators, under the direction of the director Cristian-Valeriu Hadji-Culea. “Vasile Alecsandri” National Theatre of Iasi remains a bright pearl on the crown of culture, belonging to Romania and to the entire world. It is listed in the National Register of Historic Monuments, being a symbol of art that carries infinite meaning!